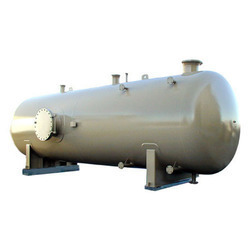 We are a leading Manufacturer of pressure vessel fabrication services from Pune, India. We are highly engaged in offering a wide and an unparalleled range of Pressure Vessel Fabrication Services. These Heavy Fabrication Services offered by us are provided to customers utilizing advanced technology and sophisticated machinery. Dexterous personnel appointed by us ensure to design this range in strict adherence with the industry laid norms and standards. Looking for Pressure Vessel Fabrication Services ?